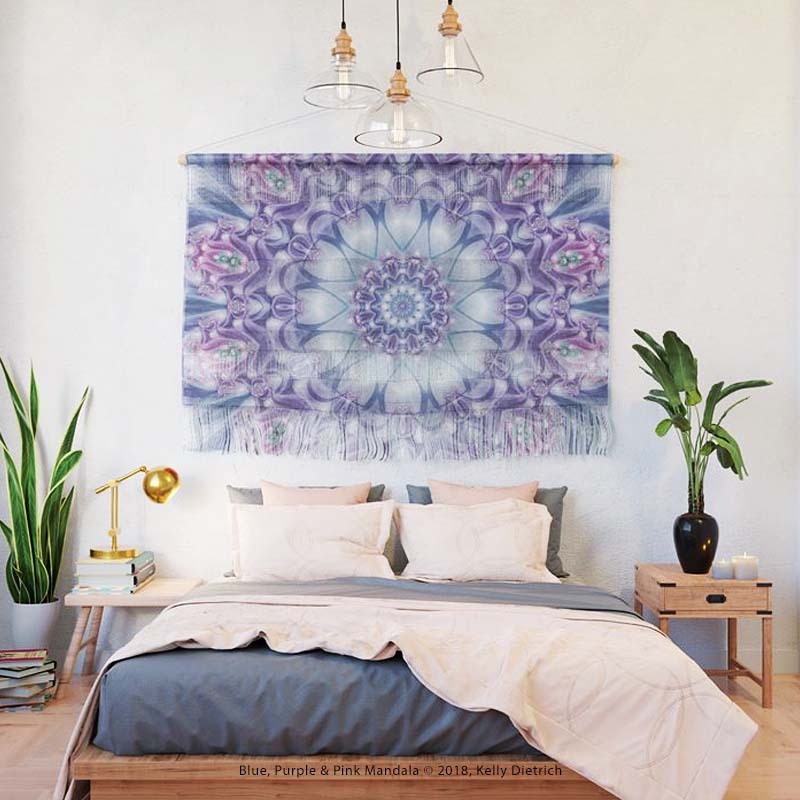 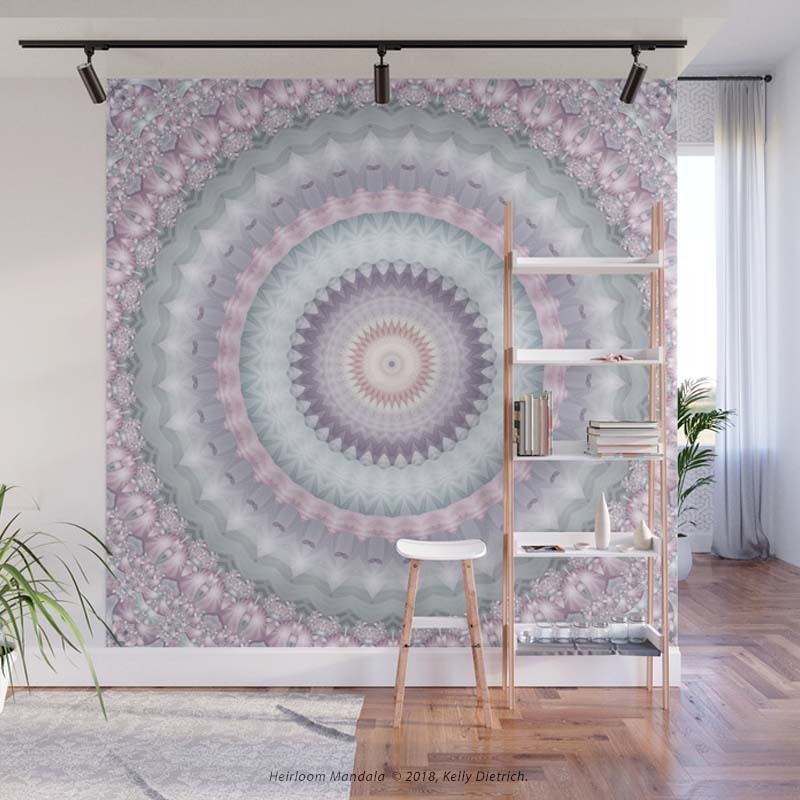 New in my Society6 shop this week are wall murals which come in either 8' x 8' or 12' x 12' (shown here: Heirloom Mandala Wall Mural). 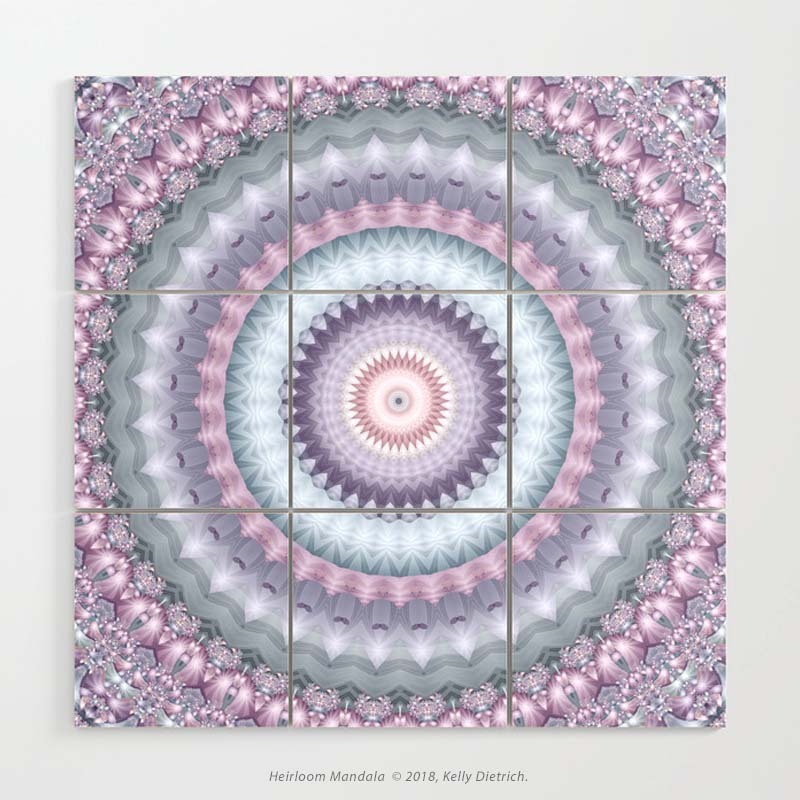 Also new this week are wallpaper, wood wall blocks, and posters! 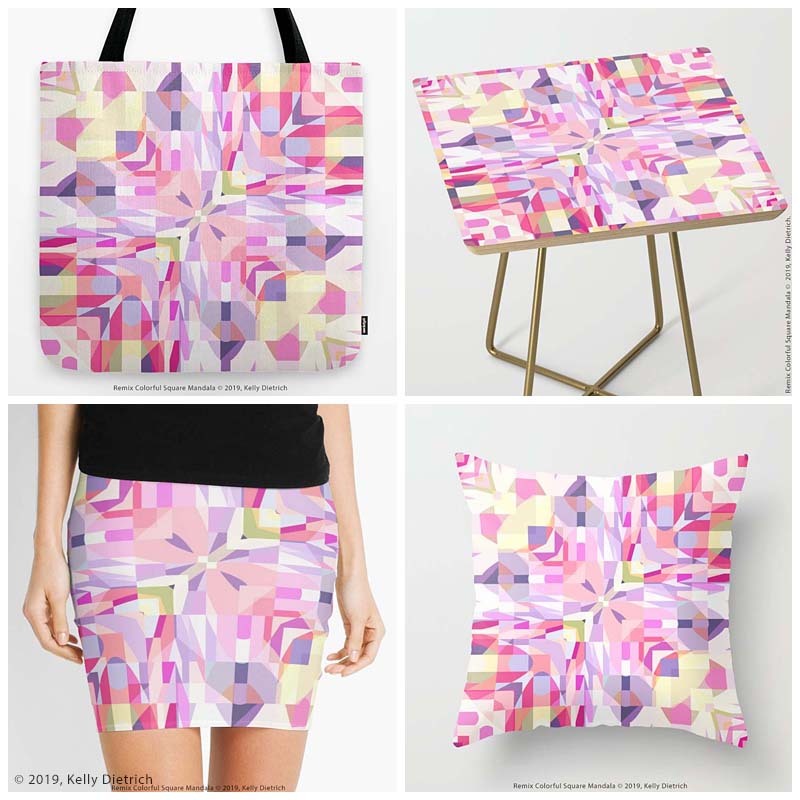 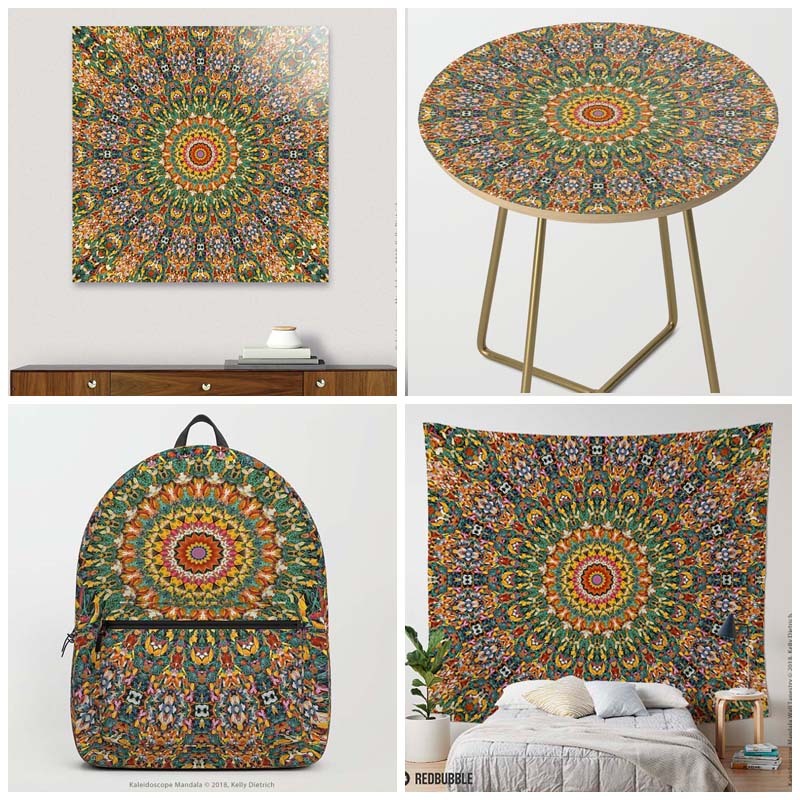 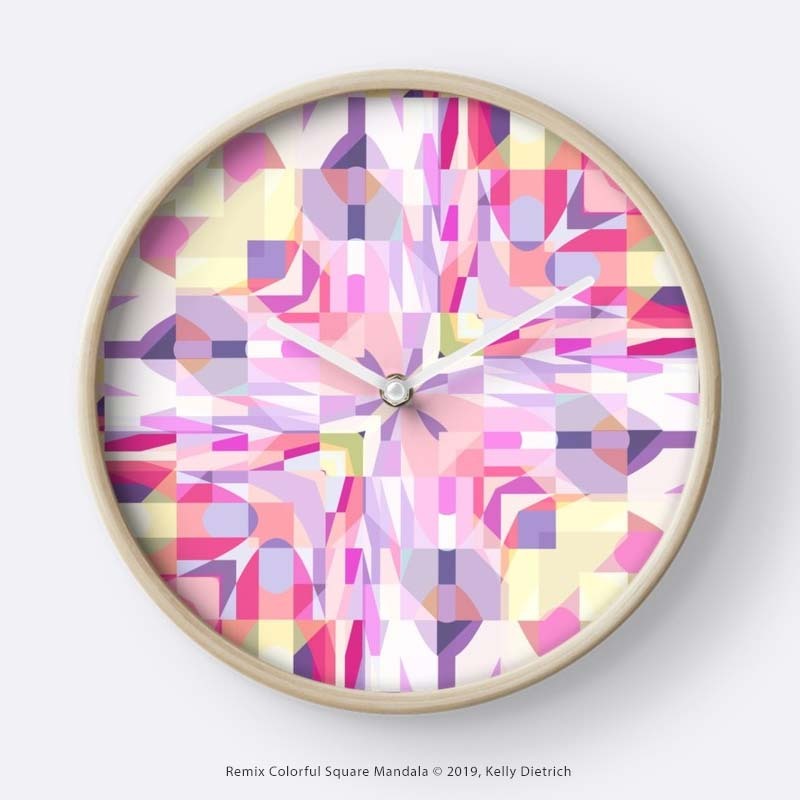 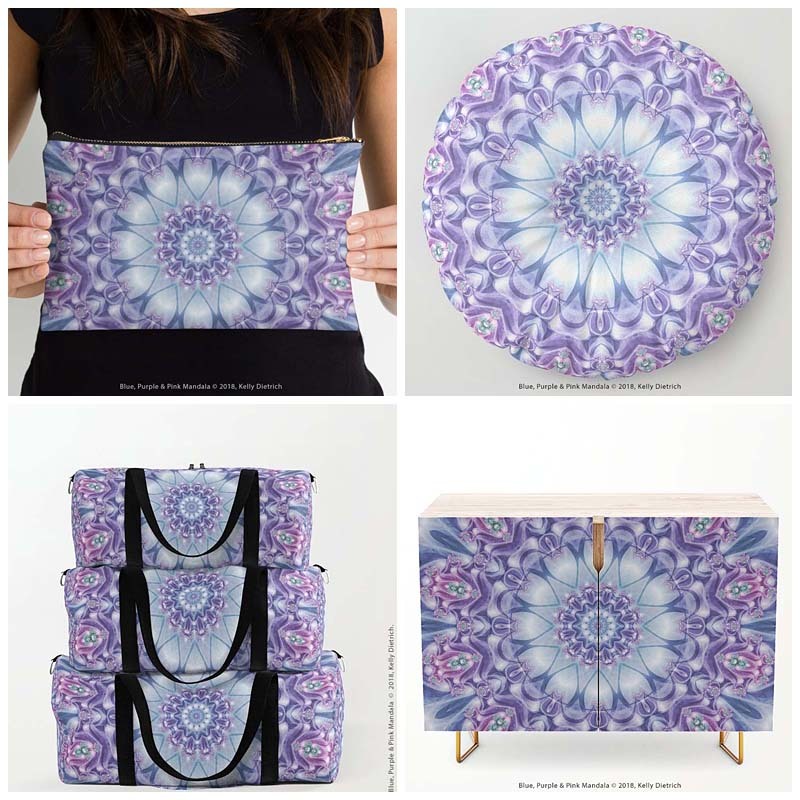 Check out the photos below to get a glimpse of my newest mandala shown on the latest products, or swing by my Society6 shop to see all that's new!